Validate the results for yourself and learn about the principles of structural engineering. 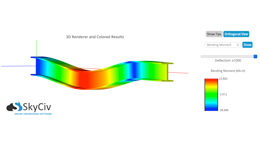 Use 3D Structural Analysis, 3D Renderer, Section Libraries, Plate, Cable and Buckling Analysis to help you with all your projects. Improve your skills as a future engineer! Become a SkyCiv Student, and get Instant Access! Your study buddy, year round. 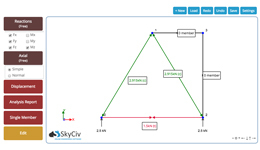 SkyCiv offers full hand calculations for Beams, Trusses and Section Properties to help you draw Bending Moment Diagrams, Axial Forces, Moment of Inertia and more, allowing you to verify the results yourself. 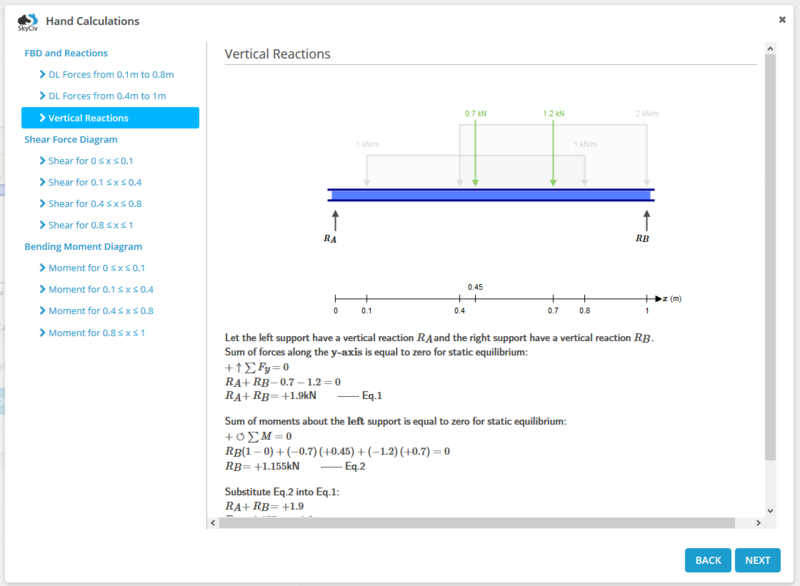 This feature is universally valuable, whether you’re a student learning about the principles of structural engineering or a professional needing to double check the figures. SkyCiv created the Student Certification Program as a way to both guide and give back to our student users. This program aims to educate students on the full scope of Structural Engineering Software, while also offering an easy resume builder that will help them stand out to employers. We started this initiative because we wanted to help our students not just in their short term assignments, but in their future professional goals. Your subscription includes fast and premium support by our SkyCiv engineers, who work around the clock assisting users with modeling and answering customer questions. Don’t know where to start? We have detailed documentation containing a variety of videos, articles and tutorials to guide you along your journey. If you still have questions, please do not hesitate to contact us. What software is included in the Student Account? The Student Account gives you full access to all SkyCiv Cloud Engineering Software. 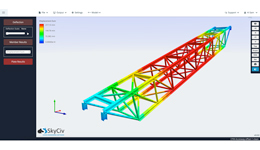 This means that SkyCiv’s 2D structural analysis software (Beam Software, Truss Software, Frame Software and Shaft Software) and SkyCiv’s 3D structural analysis software (Structural 3D) are available for use. With all of our high-tech software at your fingertips, you can tackle any structure that comes your way! How can I get a Student Account? Simply click Buy Now to purchase your subscription and receive instant access. The first time you login, you will be asked to provide your student email to activate your account. Once you click the activation email, you are ready to get started. Forget waiting to install or update the software! Since our software is completely web-based, you have immediate access to the programs and files from your internet browser. How much does a Student Account cost? Only $10 per month, saving you 60% off the standard price just for being a student! You can also get a yearly subscription for just $99. Engineering software is traditionally very expensive, costing up to thousands of dollars to install and maintain. SkyCiv Engineering Software is a cost effective solution, offering competitive pricing with no hidden costs for maintenance or updates. Can I have a Student Account if I’m not currently a student? Unfortunately not. This is a special discount for students only. You can check other SkyCiv account options here. 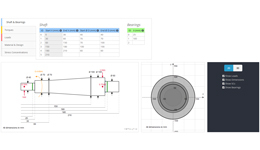 Our pricing schedules are very affordable compared to traditional engineering software. Does my account include any support? 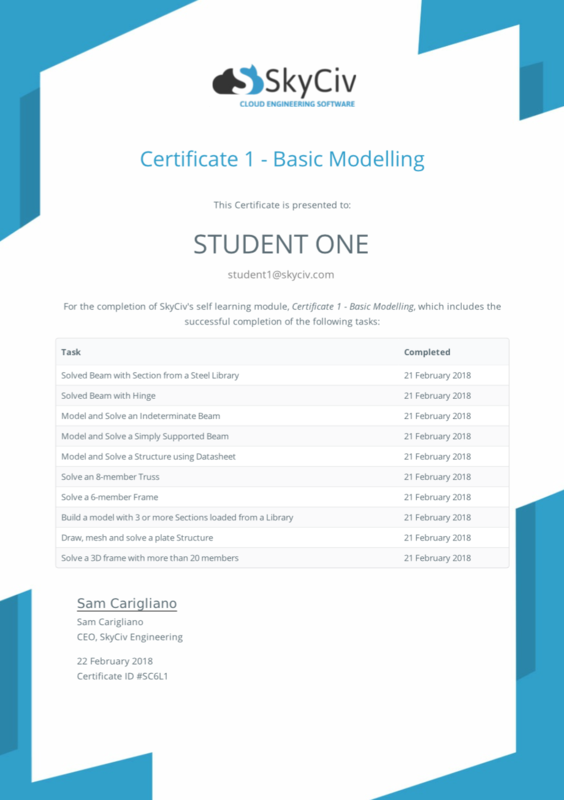 Your Student Account includes fast and premium support by our SkyCiv engineers, who work around the clock assisting users with modeling and answering customer questions. Still need help? Additional tutorials and training are available on SkyCiv Youtube Channel.